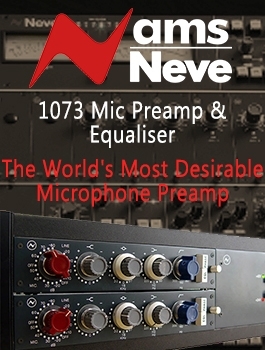 Designed to sound highly musical for larger EQ functions typically found on expensive mastering.. 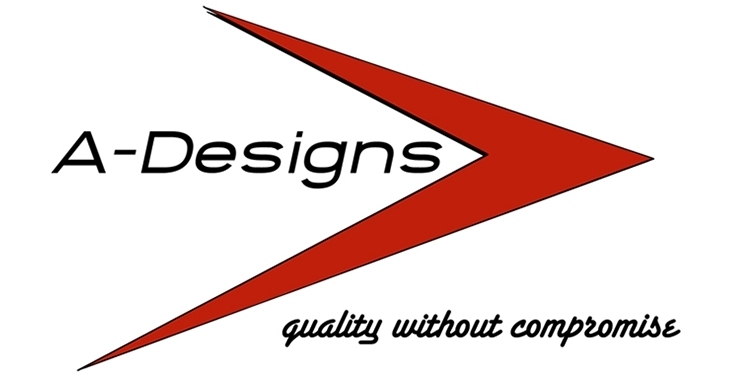 Fixed frequency settings with highly musical overlapping bands and floating “Q”. 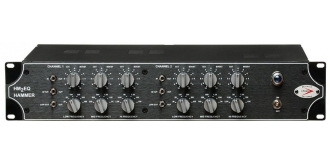 Amazingly Easy to Use One of A-Designs most lauded sound sculpting creations is the HAMMER 2, a dual-mono, three-band equalizer that's most at home on the main mix outputs, but is also an outstanding tool for tracking. It's one of a very select few audio tools that enhances sound simply by running signal through it, thanks in part to an ingenious filtering system that passes musical 2nd order tube harmonics while eliminating unwanted noise - just the heating blanket your DAW needs. It's also ideal for adding "air" to vocals, carefully crafted punch to instruments or just the right texture to an overall mix; plus, a major benefit of its innovative design is the ability to push it as hard as you like - it's nearly impossible to make it sound bad. The HAMMER 2 couldn't be easier to use. 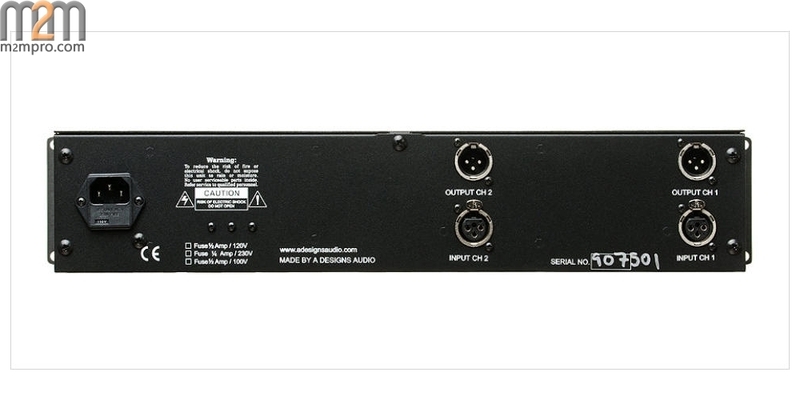 Its overall frequency range covers 30Hz to 40kHz. 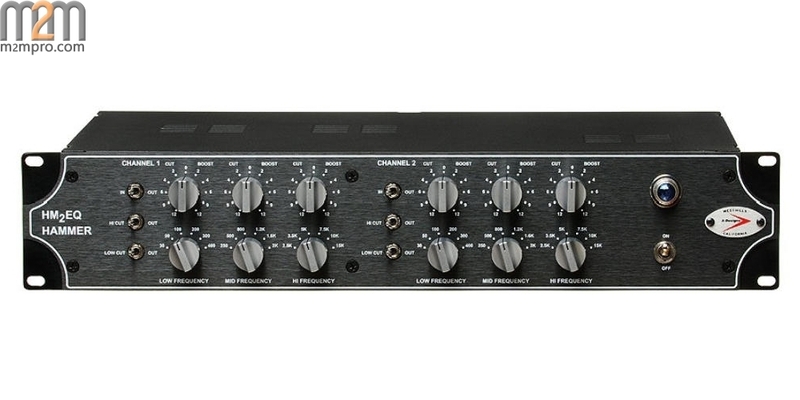 Each channel features six detented rotary controls: three frequency selector knobs (Lo, Mid, Hi) which are stepped switches for easy recall, each with an accompanying gain knob providing continuously variable boost or cut of 12dB. Each band has a selectable center frequency, and overlaps with the other bands in such a way that makes for a seamless transition throughout the entire spectrum. Each channel also features individual toggle switches for EQ In/Out as well as Lo Cut (84Hz) and Hi Cut (8kHZ), filters that allow engineers to perform utilitarian EQ chores while still being able to bring the full power of The Hammer's three bands to bear. 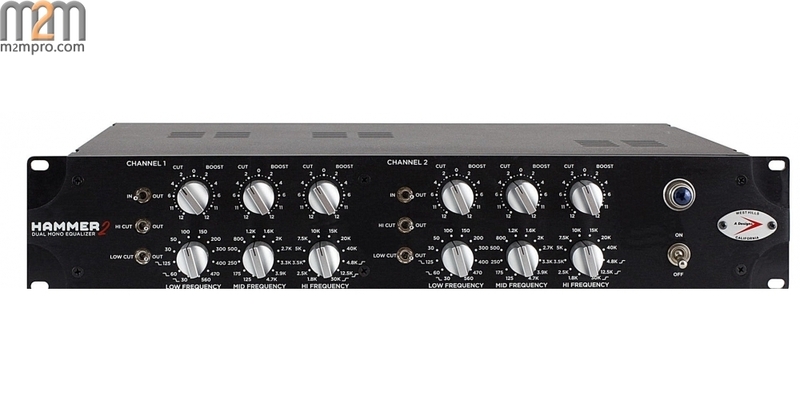 Mainly intended as a "broad stroke" equalizer, the HM2EQ's bandwidth (Q) is self-adjusting (floating), based on a combination of the amount of gain applied and the dynamics and frequency content of the program material. The Hammer's unique ability to have its Q "move with the music" is one the keys to its incredible musical performance, and is another reason why it's difficult to make the Hammer sound bad at any frequency or gain setting. Along with its innovative tube-harmonic filtering circuit, a pair of carefully selected 12AT7 tubes (offering the most consistent control of any tube) and a custom heavy duty toroidal power transformer add the final touches to the Hammer's signal path.